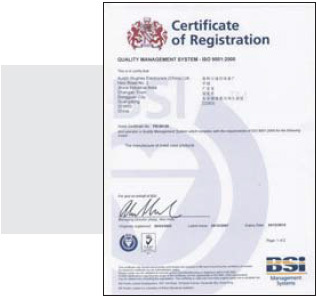 *Part numbers starting with 'M' denote multi-user models. Multi-user models support 4 simultaneous users and customizable user profiles. The MU-IP3214 is a 32 port Matrix Multi-User Cat6 IP KVM Switch. This matrix IP KVM switch features 4 consoles, 1 x local, 2 x remote and 1 x IP. Use Java web browser to connect to MU-IP3214 servers remotely from anywhere in the world. 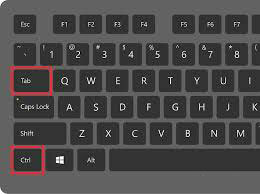 This IP based method employs enterprise grade security using AES encryption and RSA public key authentication. The MU-IP3214 Cat6 Matrix KVM can be controlled by two users from up to 500ft (150m) away over CATx cable using the integrated CATx extenders with the included KVM receivers. MU-IP3214 supports any combination of VGA, DVI, HDMI, DisplayPort, USB, and PS/2 sources through low-cost KVM dongles. Source computers can be located up to 130 feet (40 m) away via Cat5/6 cable. One local user, two extended users, and one remote IP user can control 32 multi-platform servers simultaneously. Up to 15 different IP user profiles can be stored with personal settings for each user defined. The CyberView Cat6 Matrix KVM switches support any computer platform with USB, PS/2, or Sun keyboard and mouse interfaces, including all versions of Windows, Mac, Linux & SUN systems. 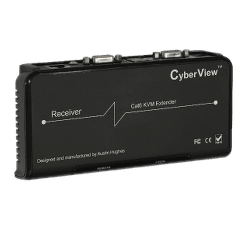 The CyberView MU-IP3214 can be switched using selectable keyboard hotkeys, front-panel push buttons, or with a mouse through an on-screen-display (OSD). These switching options allow you to quickly reassign connected devices to any of the connected computers. Expand up to 256 source computers simply by linking Cat6 Matrix KVM units using CMC-8 cables. 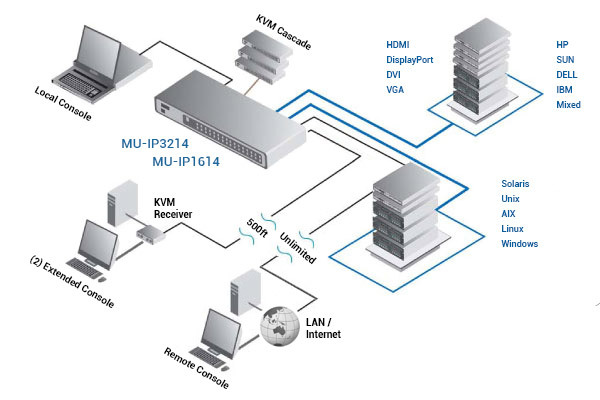 The MU-IP3214 KVM automatically detects up to 8 levels of cascade connections, which can be made up of a mix of MU-1602 / MU-3202 or M-802 / M-1602 KVM switches. CyberView MU-IP3214 ships with 100-240V AC power. Alternatively, customers can also get 12V / 24V / 48V / 110V / 125V / 250V DC power input, integrated into the KVM. 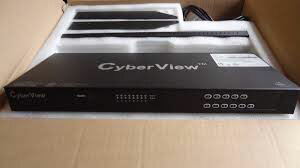 CyberView MU-IP3214 KVM switch can be rack mounted into 1U of space (rack brackets included), or it can be purchased integrated into a CyberView Rack Console. Small size also makes the units ideal for mounting behind third-party rack console. 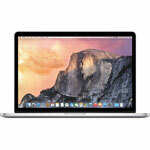 Question: Does the MUIP3214 come with dongles or do they have to be purchased? Answer: Thank you for your inquiry. To provide the greatest flexibility, this KVM does not come prepackaged with any dongles. They will need to be purchased separately. Question: Can I hot swap servers and dongles (dg-100sd and dg-100s)? Answer: Thank you for your inquiry. Hot swapping is largely server/operating system dependent. As long as the system that the KVM is attached to supports hot swapping, it should work. Please note however, KVM Best Practices say to re-boot serves to ensure a proper handshake. Question: Does the MU-IP3214 KVM support Virtual Media (computers connected to access DVD/CD drives, flash drives and other storage media as if they were directly connected to the computer)? CyberView Cat6 IP KVM switches do not currently feature Virtual Media. You can get similar functionality with the addition of Virtual USB Media by cascading two Adder AVX4016IP-USA KVM switches to get a 32-port KVM. The AVX4016IP units also feature 2 extended users, 1 IP, and 1 local user, but do not have interface dongles for HDMI or DVI. Expand simply by using just CATx cable to link units. The AdderView automatically detects cascade connections to support up to 128 computers." Alternatively, you could also use the Raritan DKX3-432 KVM Switch which does have dongles for HDMI and DVI, but the two extended users would be IP users and would connect to the KVM from a IP/LAN session via a PC or a DKX-UST User Station. Please let us know if you have any further questions or would like a recommendation for your application.